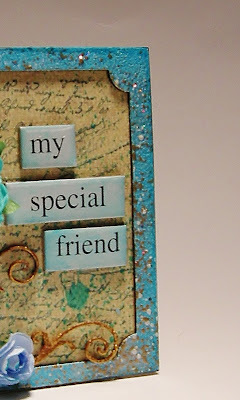 Hello, Charlotte here with you today to share a quick and easy gift of gratitude for a special friend using Piccolo Card Decor and More Chipboard Charms and Piccolo Enamel Powder. 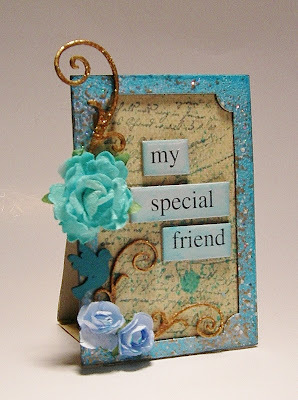 Apply a coat of the Piccolo Embossing Powder Adhesive to the front of the Card Decor and More frame. Immediately after applying the adhesive, sprinkle Piccolo Bright Blue Sky Enamel Powder over the entire surface of the chipboard. If you are using a tidy tray, gently tap the corner of the charm on the tray to remove all the excess embossing powder. A folded piece of paper works just a well. Cut a piece of coordinating card stock to the size of the frame. 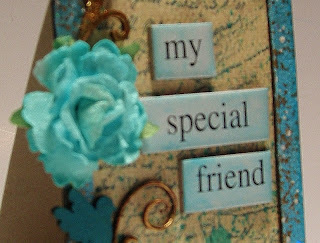 Stamp a background design with a stamp on the piece of cut paper. Now, adhere the stamped background to the the back of the frame. Distress the edges of the frame with dark blue ink distressing ink. 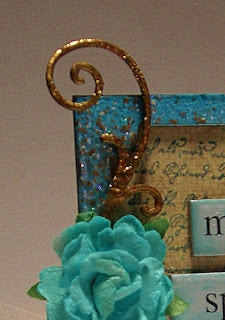 Gently remove the Piccolo #10 Card Decor and More Flourishes using tweezers, needle or toothpick. 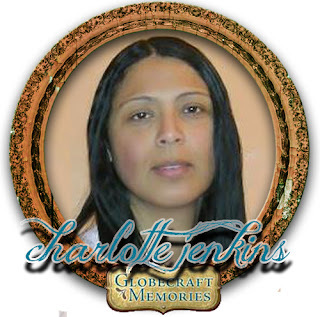 After you have removed two small and one large flourish, coat each flourish using Gilded Rose Metallic Powder. Tap off excess metallic powder use tweezers to keep the pieces in place and melt the powder with a heat gun. Repeat this process on all three Flourish Chipboard pieces. 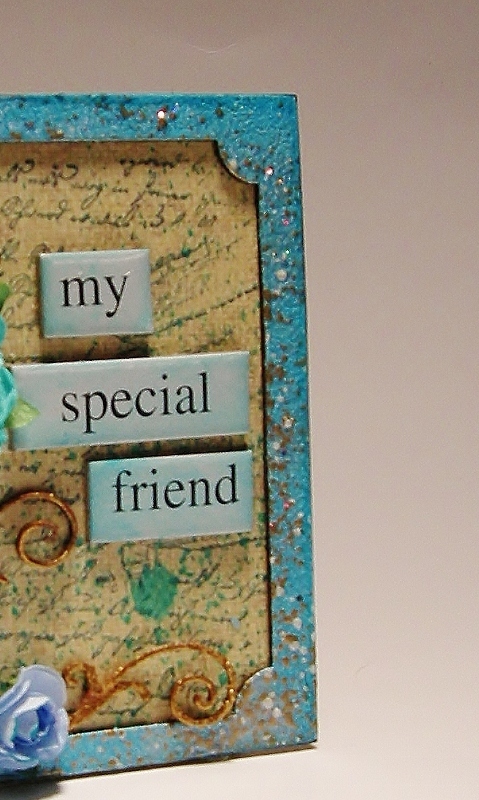 When all pieces have completely cooled, glue the flourishes to chipboard frame. 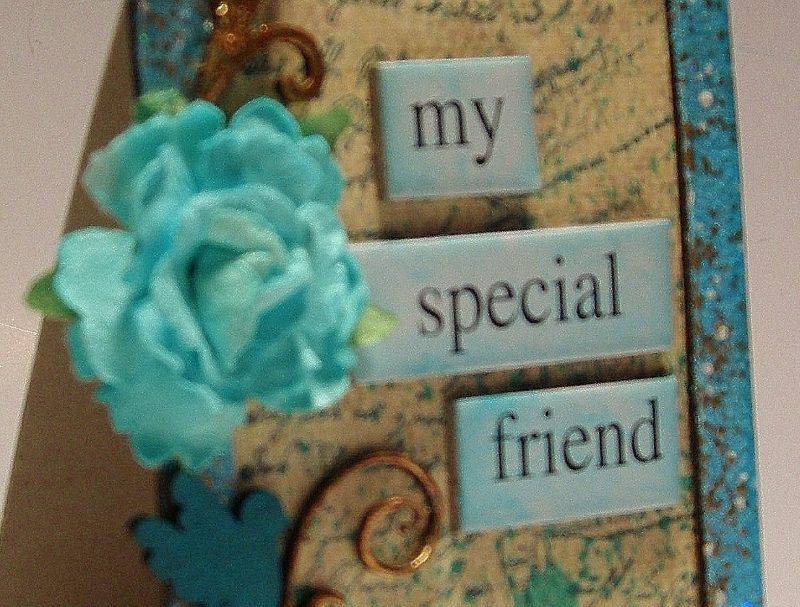 Adhere paper blooms to the front of the frame. 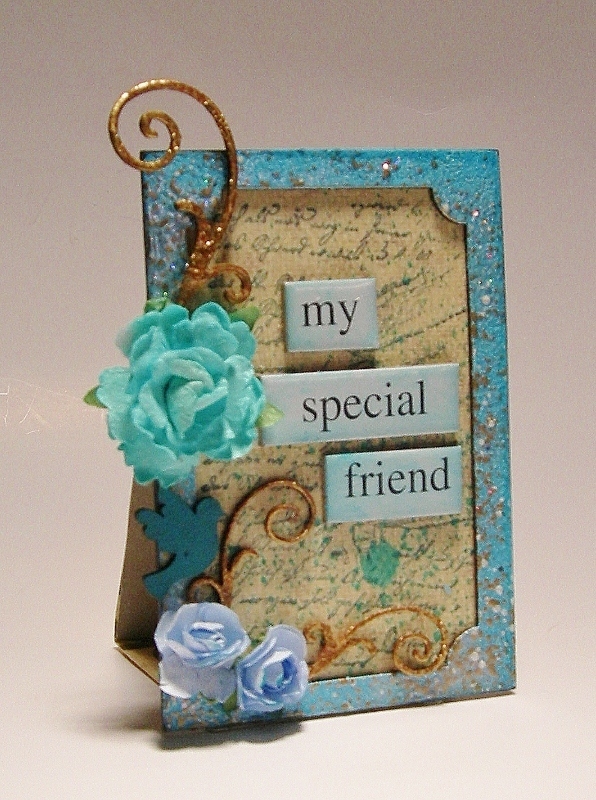 Add adhesive words to the front of the design. So pretty! And, what a wonderful little gift idea. Gorgeous! Its a little piece of art! So pretty! 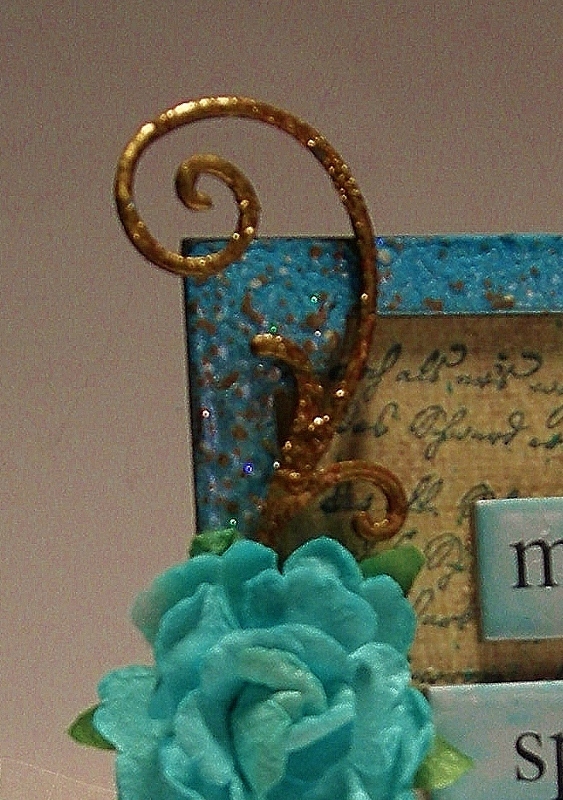 Love the colors and the flourish.